Dauntless warriors who know no fear. The second video in Atlus’ series of Dragon’s Crown Pro character trailers introduces the Amazon. If you missed it last week, catch the Fighter trailer here. 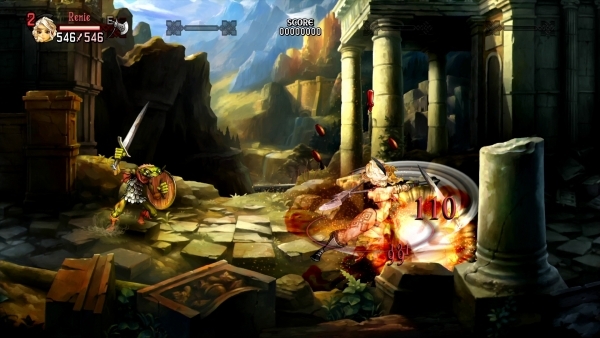 The PlayStation 4 port of the VanillaWare-developed action RPG will feature 4K resolution support, the entire soundtrack newly recorded by a live orchestra, cross-play with the PlayStation 3 and PS Vita versions (as well as save data importing), and both English and Japanese voices. Dragon’s Crown Pro is due out for PlayStation 4 in Japan on February 8, 2018. First-print copies will include a digital gamebook. Watch the Amazon trailer below, as well as a video sampling the orchestra album included with the Japanese limited edition of Dragon’s Crown Pro.